It is well known that the wind blows at Beverly, and the Milwaukee knew this all too well. 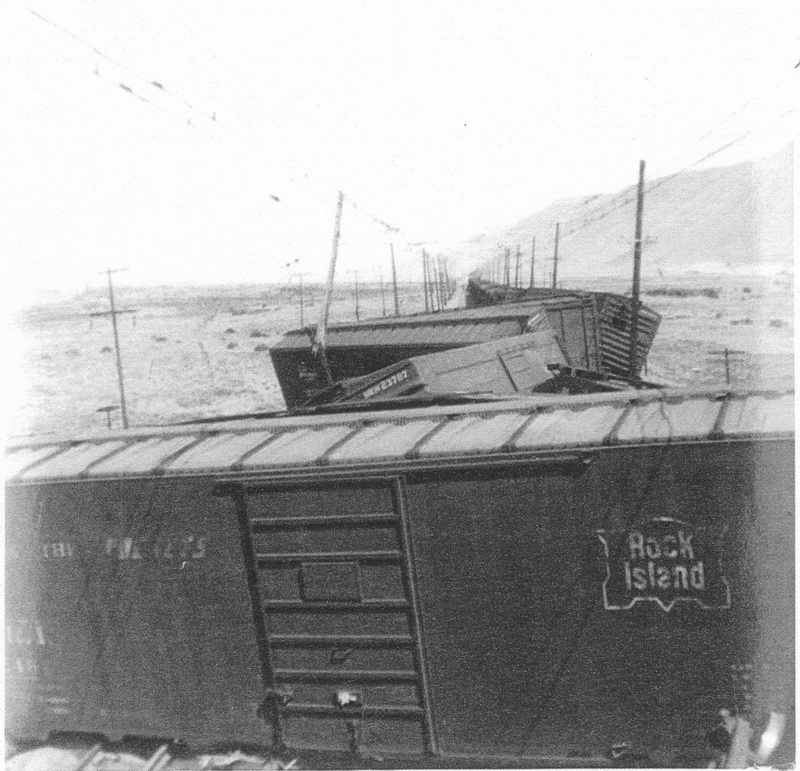 There are instances of railroad cars being blown off the bridge over the Columbia River there. A wind speed indicator was set up to alert trains when the wind speed was too high to cross the bridge. 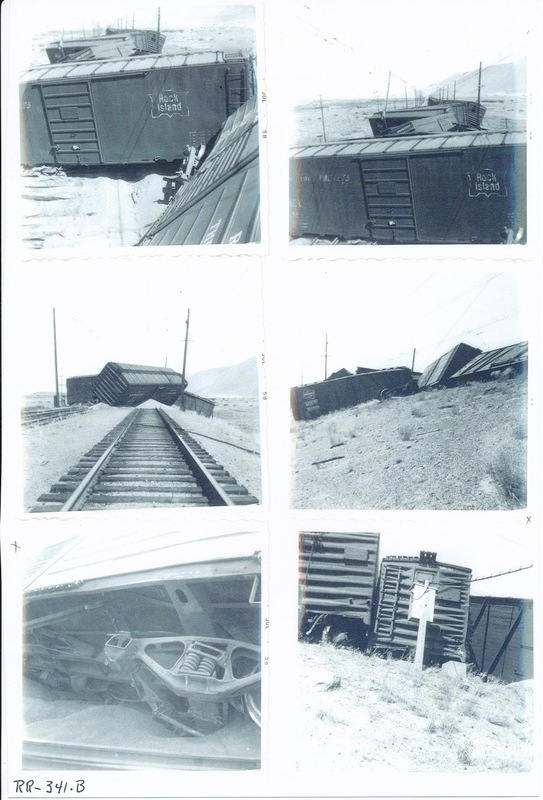 However, the winds were so strong in 1958 that some of the cars in the Beverly yard were blown off the track. I do not believe the 'wind damage' story. This looks like a typical derailment. The cars have clearly accordianed as typical in the derailment of a moving train. If cars had blown over when not moving they would be laid over on their side but still in straight line and trucks still should be on the rail. If cars were blown over in moving train causing the derailment they should still be there in the photos, which appear to have been taken before the big hook got there. I cars blew over and had been removed there should be some indication of disturbed ground, but I do not see it. One other comment from another forum is that wind blown sand across the tracks could have stopped the train in this manner. Derailment like you say? Yes. Caused by wind? Yes. Cars blown off the tracks? No.